Black Metal and Brews: Quick Fix: Cigar City Brewing Company's "Good Gourd"
Quick Fix: Cigar City Brewing Company's "Good Gourd"
I'm starting a new feature here on this blog to share new finds of mine that I'm unable to fully document. Whether I hear a great new band while visiting a friend or drink a great new beer at a bar/brewpub/brewery, I want to be able to share it with you guys. This debut post is about an excellent seasonal beer from a local brewery that is gaining national attention. 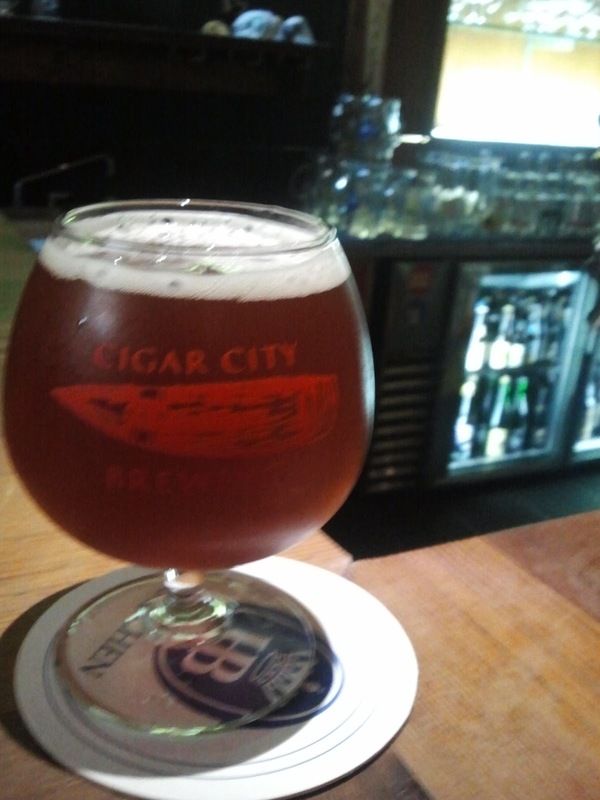 Cigar City have done the seasonal pumpkin beer serious justice with their Good Gourd. I had it on tap at my local hangout, the Independent Bar and Cafe, and found it surprisingly good. It tastes strongly of nutmeg and has a smooth flavor with hints of cider and chai tea. This delicious beer tastes more like gingerbread than a slice of pumpkin pie, and I'm quite okay with that. It's an incredibly limited run, but it's available each year. Find it at your local beer retailer while you can. If you're local to Florida you'll find quite a few options. If you aren't, I recommend hunting this one down. Possibly the best pumpkin beer I've tried this year. It's at the Independent right now if I'm not mistaken. And so am I! Think I'll try a bit. I'm surprised they aren't sold out of it yet. Enjoy some for me, since I'm feeling a tickle in the throat and am avoiding alcohol for a couple days to help fend off potential illness.